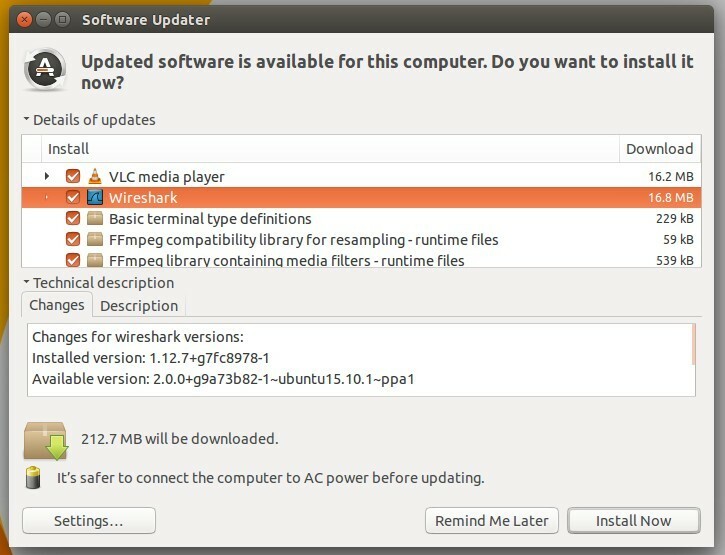 Wireshark has reached the new table 2.0 release recently and it has been made into Ubuntu 16.04’s official repositories. 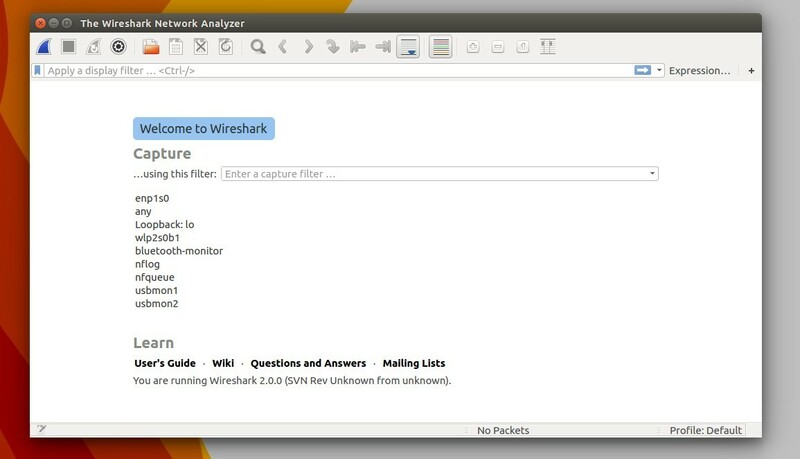 Here’s how to install Wireshark 2.0 in Ubuntu 15.10 using a PPA. Wireshark 2.0 features a completely new user interface that provides a smoother, faster user experience. It has been fully rewritten in Qt5. It also has new protocol support, new file format decoding support, new dialogs, capture options, and many other improvements. See the release note. UPDATE: The official Wireshark PPA just updated with the 2.0 packages, available for not only Ubuntu 15.10, but also Ubuntu 15.04, Ubuntu 14.04 and Ubuntu 12.04. 2. Install / Upgrade Wireshark. If you have a previous installed, launch Software Updater. After checking for updates, you’ll see this popular network protocol analyzer in the list. Install the updates and done. The PPA also contains many other applications for 15.10 Wily, check HERE. You can keep the PPA or select remove it via below command once Wireshark 2.0 is installed.